Fat grafting has been used as an effective way to restore volume to the for decades, especially as a supplement for facial plastic surgery procedures like the facelift. But new advancements in fat grafting techniques have made fat grafting to the face even more predictable, efficient, and much safer. Using superior technology and an ingenious new method of fat extraction, Dr. Machida can help patients create softer contours, greater definition, and a firmer look for the face. With facial fat grafting, you won’t be relying on a foreign substance; it’s all natural, and it’s all you. In general, fat grafting works by using careful liposuction to remove fat from areas already suffering from excess fat (flanks, thighs, abdomen, etc.). The fat is then inserted, via injection, into areas suffering from volume loss. Once they’re inside the body, the transferred fat is given a chance to “take,” a process where the fatty tissue attaches themselves to the collagen matrices under the skin and develops their own blood supply. The challenge in traditional fat grafting was that the fat’s survival rate was around 50%, but since it really depended on the patient’s specific anatomy, it was as low as 30% in some cases. It was not uncommon for fat transfer procedures to be repeated. There’s also one crucial characteristic about facial fat grafting that surgeons needed to consider: natural fat cells exist in relatively large clumps. These relatively large clumps have a low survival rate, so to protect this grouping, surgeons needed to use a larger needle, which then caused significant discomfort and bruising for the patient. SVF fat grafting improves on traditional methods in two ways: one benefit is that the SVF method uses an advanced filter to screen out the large clumps and isolate the younger, smaller fat cells. These fat cells can be found in the Stromal Vascular Fraction, a byproduct of the filtering that’s rich in Adipose Derived Stem Cells. 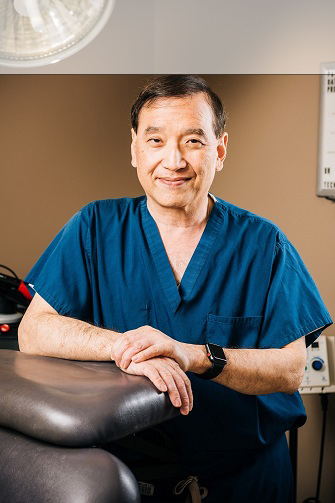 By harvesting a higher percentage of adult stem cells, Dr. Machida can inject fat samples that are much more likely to adapt to the new area. In fact, these fat grafts have a much better survival rate: up to 90%. Most of the time, patients can achieve a substantial improvement after just one treatment. Using smaller cells also means that Dr. Machida can use a much finer needle that reduces the occurrence of bruising and discomfort. The younger and more versatile cells are also better able to lift wrinkles and creases—something fat grafting wasn’t able to do before. However, unlike injectables, the results of SVF facial fat grafting can last without the need for maintenance treatments. 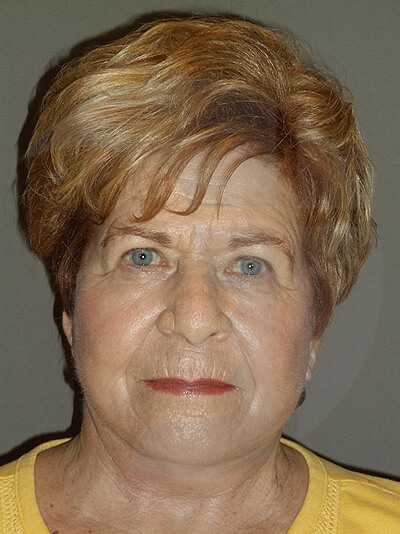 The procedure for facial fat grafting is fairly simple. The treatment will be performed in Dr. Machida’s private surgery center, and it’ll be performed using local anesthesia. In the first step of the procedure, Dr. Machida is will carefully extract fat samples from the area of choice. The sample is then filtered to get the stem-cell enriched graft. Then, Dr. Machida will inject the fat graft strategically where it can create the most improvements. State-of-the-art treatments and an outstanding patient experience—these are the foundations that Second to Creation was built on. If you’d like to find out if this cutting-edge treatment can supplement your facial plastic surgery procedure, contact Dr. Machida now for a consultation. What factors determine the likelihood of success for facial fat grafting? Dr. Machida will take all these factors into account to ensure each fat grafting is as successful as possible. Why don’t all transplanted fat cells survive? Fat cells are delicate, and although they typically have a loose connection to vasculature, they still need an adequate blood supply to survive. To protect the fat cells, Dr. Machida will perform liposuction with great care. New processing techniques have also allowed us to isolate the fat cells that are the most likely to survive and form a new blood supply. What sites on the body are used for harvesting fat? The ideal place to harvest fat is an area that usually accumulates excess pockets of fat, such as the abdomen. We won’t take fat from an area where you’ve previously had liposuction because we don’t want scar tissue to interfere with the harvesting process. The area should also have a reasonable amount of fat available so that we can achieve suitable facial fat transfer results. Do all facial sites respond equally well to fat grafting? Although there are some challenges to grafting fat into the lips and the area between the mouth and the nose, most areas of the face respond well to the treatment. Dr. Machida has the training and experience to work with these intricate areas. How does facial fat grafting differ from injecting fillers like Juvéderm®, Restylane®, and others? Because dermal fillers are typically made up of substances naturally found in the body, the body will ultimately absorb them. 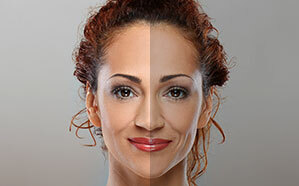 All dermal fillers are temporary, with many of them lasting from 6 months to 2 years. They must be maintained with a regular injection schedule. Facial fat grafts are even safer for the body because they use your actual tissues, but once they “take,” they become a permanent fixture of the face. Dr. Machida asks that patients take about 3-5 days to rest from the facial fat transfer. Remember, although the insertion of the fat grafts is a minimally invasive process, Dr. Machida will still need to perform liposuction, which is an invasive project. 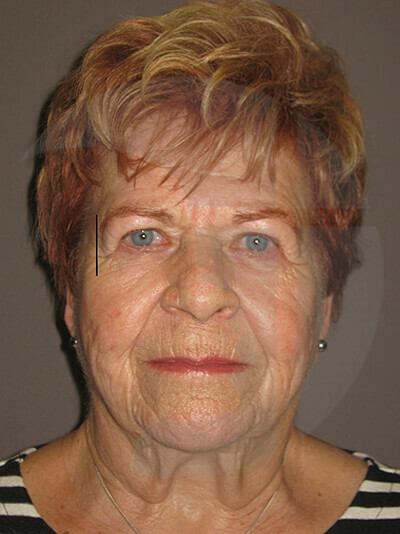 How long can the results of facial fat grafting with SVF last? Once the fat grafts have taken, then they can last indefinitely, sometimes for years.